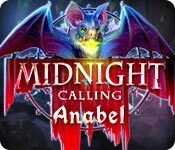 Midnight Calling: Anabel is rated 3.8 out of 5 by 19. Rated 4 out of 5 by shihtzumum from 3 1/2 Star Adventure Graphics are nicely done and characters are pleasant too. I do enjoy these stories, nothing original, but never gets old. I did wait for the SE as this is not a CE product and I'm glad I did wait. Even though it's beautifully done, there is nothing new or original and it's also very short. If you 2 1/2 - 3 hours to sit down and lose yourself, give this one a try. Rated 4 out of 5 by kateblue222 from Some CE special features missing, so CE or SE? Maybe SE. I have not played much of this game yet—I’m not long past the demo period in the CE. But I’m writing this review to give my opinion--as I usually do when both CE and SE are out—which to buy? Because if I have bought neither at that point, that’s what I want to know. I’m having lots of fun with this game just wandering around and clicking on stuff, at least as far as I have gone. 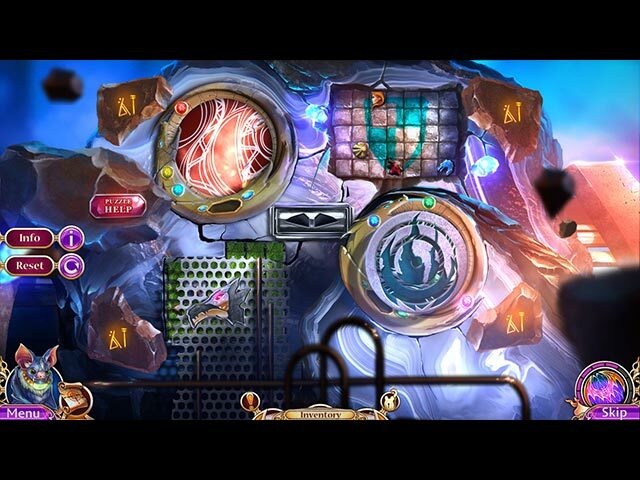 It’s a solid game, and it’s pretty, and the puzzles are fun, so far. 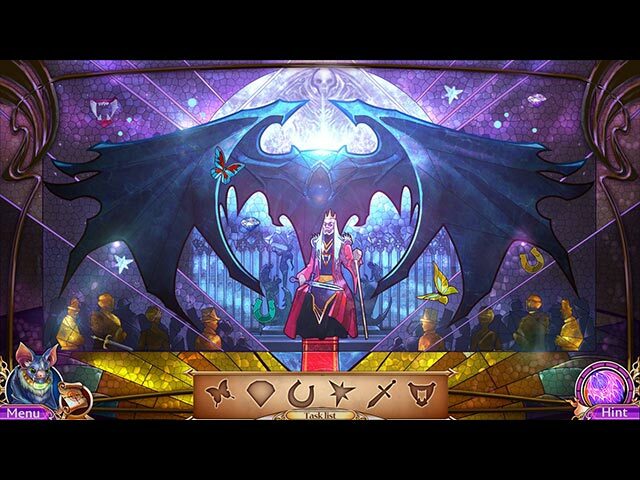 Go read Sunnyglow’s great CE review here for more detail: http://www.bigfishgames.com/games/11274/midnight-calling-anabel-ce/?mac But I still say, buy this game, the SE, I think. (Though I did buy the CE because I needed a game for the 2-for-1 sale.) The reasons I recommend the SE instead of the CE are: —There is no ability to play the puzzles over and HOPs over, and —Apparently, from reviews of the CE, the game is quite short. But: —there are morphing objects and collectables, —there is a bonus chapter, and —according to BFG, there is "A charming extra challenge in the Secret Room.” So maybe that makes the CE right for you. Have a look at both. My only real gripe about this game is, the first game, which BGG describes as "the blockbuster game Midnight Castle” is not available on a Mac! Hey BFG! What’s up with THAT! Rated 3 out of 5 by elebubu from Just a flash Now I understand deeply the meaning of "flash". I've finished the game in just 2 hours or less (not CE). I'm not saying the game isn't funny or beautiful or else. Simply too short, unbelievably too short, and I don't think it's worth the money, even if I bought it in sale... Disappointed. Rated 3 out of 5 by radarsweet from A Prequel that Missed the Mark I'm not a fan of Midnight Castle, & I thought if I got this game, it would help me get excited about playing it. NOT! Don't get me wrong. This is a nice little game. But it is in no way challenging. I found it all too easy. I agree with others that some of the HO scenes were sloppy. The graphics are good - not exceptional. The music & voice overs are well done. You can set your own degree of difficulty. That's always a plus in my book. Re-play value on this game would be very low. Since it was so simple & fast, I'd have to wait two or three years before I play it again. In fact, for many of us, it could probably be finished in the 1 hour trial time (or pretty close to it). It was disappointing for me, but I guess if you're trying to get people to play Midnight Castle, you have to give them a bone to chew on first. I will recommend this game - but with hesitation. If you are a first time gamer with BF, this would be a good game to start with. If you intend to play MC a lot, this would be the game to start with. Other than that, I'd say no if anyone asked me if they should buy it or not, especially if they have any HO experience. Look for one more challenging than this. Rated 3 out of 5 by SuperOmmi from Too Easy I've never played Midnight Castle so my opinion is based on my experience with this COMPLETED GAME only. The game was just ok, mostly because it was too easy and too short. I played it on expert/hard mode and it only took about 3.5 hours from start to finish. The puzzles were alright. The graphics were, for me, too cartoonish. The VOs were fairly good. The storyline was just so so. The HOs were very simple. The gaming experience was very middle-of-the-road. The demo was interesting enough for me to get this as a free game but the overall impression was just.... blah. If I'd paid good money for it I'd probably be angry. I can't NOT recommend it, because it wasn't bad, but I don't highly recommend it either. If you play with young children then you'll probably like it. If you're an adult advanced player you'll probably wanna skip this. Rated 3 out of 5 by ohsoclueless from Dragons and Mermaids. Really? Based on completed game.Truly don't want to disparage the makers of this game, as I know it takes a lot of work, so will try to be encouraging by saying this is, for the most part, a nice little game. The graphics were lovely, and the HOGs and puzzles were different and interesting. However, this game was way easy, and only took about half the time of most HOGs I play. Am confused at how mermaids fit into the times of dragons, but supposed literary license applies. And don't get how something like a baseball bat in the HOG fits. Seems it would be better of the objects were at least of the same time period. The gameplay continuity was okay; just felt like overtaking the evil jumped up out of nowhere, then ended. Sort of like the developers either got bored or didn't know how to create further. Or got stuck on what to do next so decided to stop. Either way, if one would like easy play for a quick afternoon, I recommend it. Rated 2 out of 5 by kiwis00 from HOS too easy! I'm halfway there with the demo and a lot of jumping back and forth scenes. A little challenging when reached to the Super Puzzle. I wanted to hurry up and finish because it was annoying and a bit boring. Some of the scenes were dark in the corners and started losing my focus on the storyline. Rated 1 out of 5 by NewReviews from Pretty Tokens all in a Row I don't understand how this game had such good reviews. It's simple to sum up this 'game' ... find the token that will open the next item, then open that item to find the token that will open the next item, then open that item to find another token that will open another item...with, yes, you're right -- more tokens to open other items with tokens in them, too! I'm still confused... was this the game? Graphics were pretty, but I'd rather have a fun game with bad graphics then a visually pleasing one that is no fun at all. 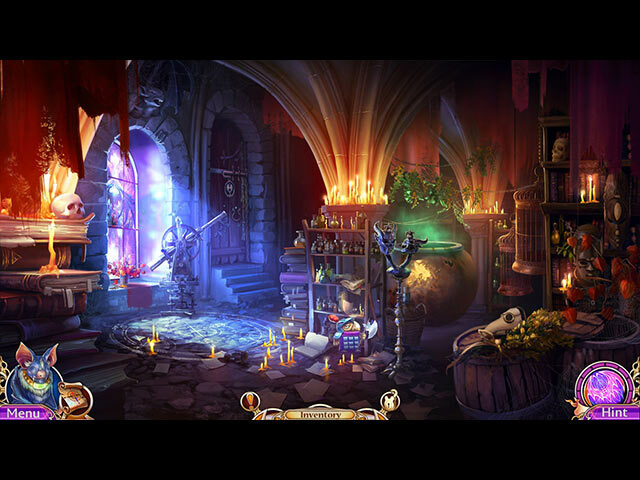 Return to your hometown to save your father and uncover Midnight Castle's secrets!